What’s up with the news reports saying the state has to refund state tax revenues collected on recreational marijuana? Didn’t voters already approve recreational marijuana and two new state taxes on recreational marijuana at two separate elections? It makes no sense that the state will have to refund tax revenues collected on recreational marijuana. Why are these refunds required? Well, here’s the scoop. At the statewide election held in November of 2013, Proposition AA asked voters to approve imposing two new taxes on legalized recreational marijuana – a state excise tax and an additional state sales tax. 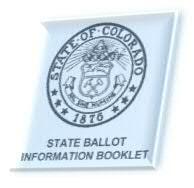 Because this ballot question included tax increases, Article X, Section 20 of the Colorado Constitution (TABOR) required the state to include certain financial information in the Blue Book, which is the ballot information booklet that Legislative Council Staff prepares and provides to the public before an election. TABOR imposes consequences if the actual fiscal year spending and revenue amounts from an approved tax increase exceed the estimates provided to voters before the election. Specifically, TABOR Section 20 (3)(c) requires that, if either the resulting tax revenue or actual fiscal year spending exceeds the Blue Book estimates, then the voter-approved tax increase is reduced and the state must refund the revenues that exceed the estimates. The only way to avoid these impacts is “by later voter approval.” The General Assembly may obtain this later voter approval by referring a ballot question to prevent the tax rate reduction and to allow the state to keep all of its revenue. Refund amounts that exceed the Blue Book estimates for fiscal year 2014-15 up to the total amount of the recreational marijuana tax revenues collected in that fiscal year. Based on the Legislative Council Staff’s December 2014 Revenue Forecast, it is currently projected that the amount of recreational marijuana taxes collected in fiscal year 2014-15 will be $58.7 million, which is below the Blue Book estimate, and fiscal year spending for fiscal year 2014-15 will be $12.347.3 billion, which is above the Blue Book estimate. These estimates will likely change in subsequent revenue forecasts, but legislative staff expects that, by the end of fiscal year 2014-15, total recreational marijuana tax revenues will remain below the Blue Book estimate and actual fiscal year spending will still exceed the Blue Book estimate. 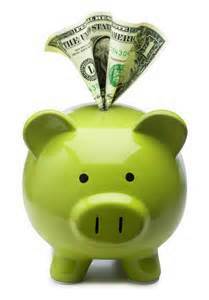 Specify how to comply with TABOR in terms of how to reduce the rates of the recreational marijuana taxes, how to refund the marijuana tax revenues and to whom, and what revenues to use to accomplish this refund (e.g., recreational marijuana tax revenues or general fund revenues). To date, a legislator has not introduced a bill dealing with these issues. But the 2015 session is only almost half over, so there is still time for the General Assembly to take up this issue. Stay tuned!